There’s a game my fellow Muses & I like to play from time to time. We call it “Guess the Muse” and it involves guessing which one of our brilliant reviewers has written a certain review. Yes, we are that predictable at times. And I’ve been known to gravitate towards books involving young people facing issues of all kinds. So for this review, I’m staying true to form. Anna is in a very dark place. She enjoys nothing, feels nothing, even tastes nothing. Everything in her life is just there. So she dreams of an escape route, even going so far as to make a list of possible ways to commit suicide. And she makes a few attempts, although none of them come close to being successful. Until the very last one. Depression and suicide in teens are always difficult topics to read about. But they’re important ones because they’re very real. This book does a good job of telling the story of one such teen in a way that’s entirely believable. Another aspect of the book that I enjoyed was hearing Anna’s story told from three different perspectives: Anna herself, her mother, and her best friend. It’s a reminder that these are issues that don’t just affect one person but instead everyone around that person. So this is another one of those books, even though I read it as an advance copy, that had mixed reviews. Some readers really liked it while others were strongly in the opposite camp. Most people fell sort of in the middle. As I’ve stated before, I rarely pay attention to reviews unless they come from a trusted fellow book-lover. Most of the time it pays off, as in this case. When Arlie’s mom overdoses, her chance at a somewhat normal life appears in the form of an uncle she’s never met. She’s been lucky enough to have a best friend who loves her no matter what. And then, of course, she meets a boy. The question then becomes, can she get over her past and have a chance at a normal life? There’s romance and friendship with a good dose of suspense thrown in as Arlie struggles to accept her new life. 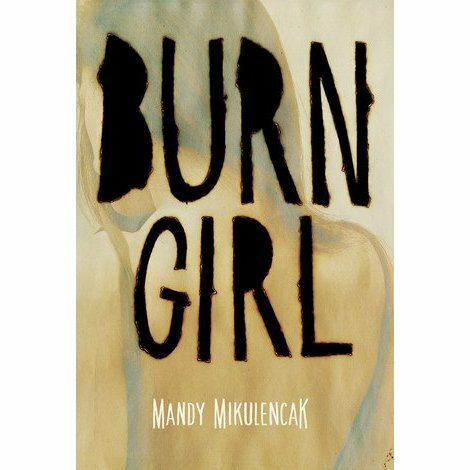 Burn Girl is a young adult story about a teenager trying to overcome seemingly insurmountable obstacles. Sound familiar? But of course. So is the plot of most young adult books these days. Here’s where the author’s true gift for writing must come into play. Can she/he weave a story compelling enough to stand out from the others? Are the characters sufficiently developed to make the reader care? And, bottom line, is it a good story that makes ME want to keep reading? With this book, it’s a “yes” to all of the above.